Built in the thousands, the Pennsylvania Railroad’s X58 class 50 foot boxcar was one of the last modern design boxcars introduced by the “Standard Railroad of the World.” Making appearances in consists from coast to coast during its nearly four decade long lifespan, the majority of these house cars saw service through the Penn Central and Conrail eras with some survivors still listed on CSX and Norfolk Southern rosters up until the mid 2000s. As such, Tangent Scale Models’ HO scale ready-to-run model of the X58 remains an important ingredient in the post mid-1960s era modeler’s mix of rolling stock with the company’s second production run inclusion of those cars serving under the Penn Central flag of particular interest during Railroad Model Craftsman’s special PC 50th anniversary coverage. The X58 cars were somewhat unique among the PRR’s vast rolling stock fleet having been built from kits and assembled at the Sam Rea Shops. Prefab sides were supplied by Youngstown Steel Car Company and Berwick Forge & Fabricating Corporation while doors were provided mostly by Youngstown and the dreadnaught ends and diagonal panel roofs by Standard Railway Equipment Company. Between October 1964 and December 1965, a total of 2,565 X58s (numbers 112000 – 113981, 114222 – 114426, and 117813 – 118490) were built with an additional 100 cars erected for the Lehigh Valley (numbers 7100 – 7139 and 8200 – 8259). General specifications of the X58 class included: a 55 feet 2-3/8 inch length over the strikers, a 40 foot 10 inch length between truck centers, an overall height above rails of 15 feet 1-3/16 inch, and a width over side sills of 9 feet 7 inches. The car side openings measured 10 feet 6 inches wide by 9 feet 6-1/2 inches tall with the interior measuring a nominal 50 feet long by 9 feet wide by 10 feet tall. Appearance wise, the X58 class exhibited external vertical bracing on its sides while its homebuilt underframes featured sliding center sills with either Hydro-Cushion or Keystone cushioning systems, which allowed for up to 20 inches of travel. Further variation in the cars existed depending on the style of internal load restraining device utilized or specialty product carried, which warranted a sub-letter designation in some cases. As a result, interior car capacities ranged between 4,358 to 5,121 cubic feet with a nominal weight capacity of up to 140,000 pounds. 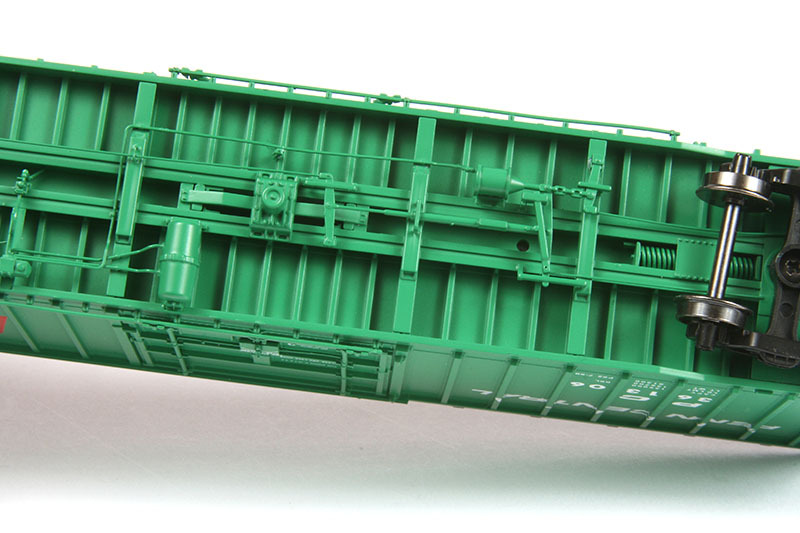 Tangent’s HO scale X58 is impressive from the get-go and features an injection-molded carbody with integral sides, ends and floor while the roof is separately applied; all of the prototype’s critical dimensions are adhered to implicitly. Pertinent details reflecting the basic characteristics of the class, such as the proper number and placement of exterior posts, plug doors, dreadnaught ends, and the typical diagonal pattern of the roof are crisply molded-in while add-on handholds formed from 0.015 inch diameter wire and plastic ladders populate the appropriate safety appliance locations. Roofwalks, landings, and brakeman platforms are formed from photo-etched metal with see-though grating. Even the side doors exhibit hand applied crank arm shafts, handle, and rollers with separate lower guide track. Meanwhile, the car ends both feature separately applied tackboards, air hoses with gladhands, photo-etched trombone style coupler lift bars, and extended draft gear boxes with even the draft key lugs on their sides present. In addition, the B end also showcases an Ajax power handbrake wheel complete with raised “AJAX” moniker on the brake wheel housing, connecting rod, chain, and sheave components, the later of which actually attaching to the linkages running beneath the car. And while were on the subject, the model’s underbody brake gear is inclusive in every detail as well: the valve component; branch pipe and moisture trap; brake reservoir; slack adjuster; cylinder; and all the plumbing and linkages in between. Finally, based on the specific car number being rendered, each model accurately displays either the Hydro-cushion or the Keystone style cushioned center sills. After the PRR merger with the New York Central in early 1968, the newly formed Penn Central would begin shopping some of the X58 fleet, removing the now outlawed roofwalks, repainting and re-lettering the cars, and finally transitioning them into a new PC numbering series. For members of the class that did go through the process, they exited the old Sam Rea or Altoona Shops displaying one of a variety of PC schemes the railroad experimented with during its short eight-year existence as well as new carbody characteristics. These later details included angle brackets running down the center of the roof – remnants of the former roofwalks, lowered brakewheel housings, and shortened side and end ladders. Tangent has captured these attributes as well on its PC offerings along with the often overlooked bolt hole patterns that remained at the former high mounted brakewheel housing and top ladder rung locations. 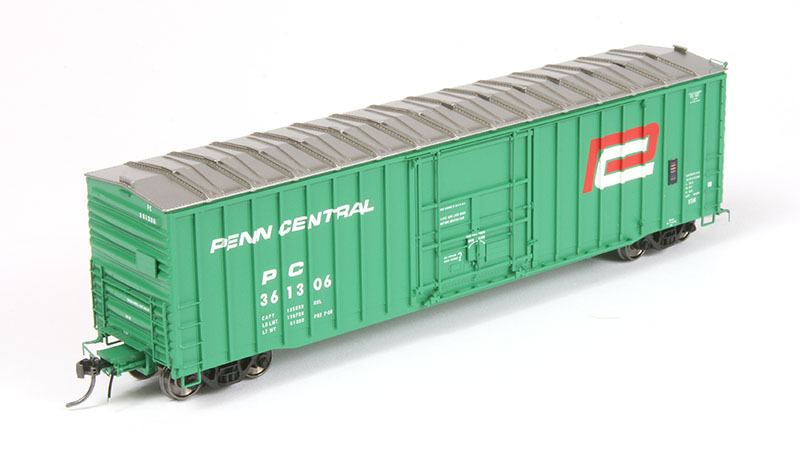 For this second run PC release, the manufacturer has chosen to go with the early 1968 repaint scheme whereby the railroad placed “PENN CENTRAL” in a single line across the ribs on the upper sides to the left of the door. On the right side, a 7.75 foot by 4 foot red and white PC “worms” logo was applied. Our renumbered PC 361306 insulated car fits the bill with a July 1968 repaint date and features the Hydro-cushion underframe to boot. Also accurately rendered are the raised plate ACI (automatic car identification) labels on the car sides and the tiny one scale inch tall former PRR car number (112159) reproduced in the upper right hand corner on each side. The overall quality of fit and finish displayed by our PC sample was outstanding and void of any paint anomalies or lettering errors. The same goes for operation. All the blackened metal scale 33 inch diameter wheel sets found in the plastic American Steel Foundries 70-ton roller bearing style trucks were properly gauged as determined by National Model Railroad Association (NMRA) Standards Gage as was the mounting height of the Kadee #58 scale couplers. 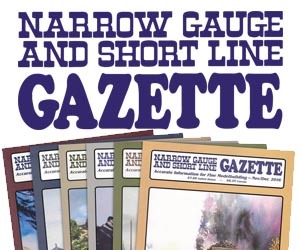 Meeting the NMRA’s suggested weight based on length of 4.7 ounces, our 7.625 inch long HO scale model was, likewise, a smooth performer on radius curves down to 22 inches. 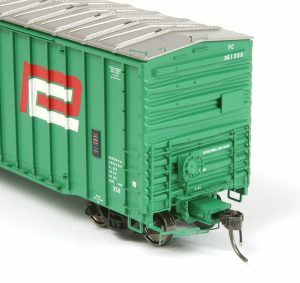 For a suggested retail price of $44.95 each, there is much to take in with these beautiful X58 class Tangent cars – body details, construction variations, era specific modifications, performance, and a host of paint schemes and roadnumbers that may be further investigated via the manufacturer’s website. 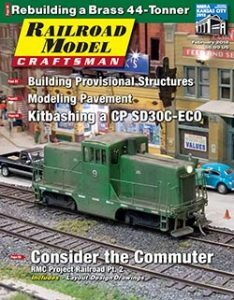 This review appeared in the February 2018 issue of Railroad Model Craftsman.